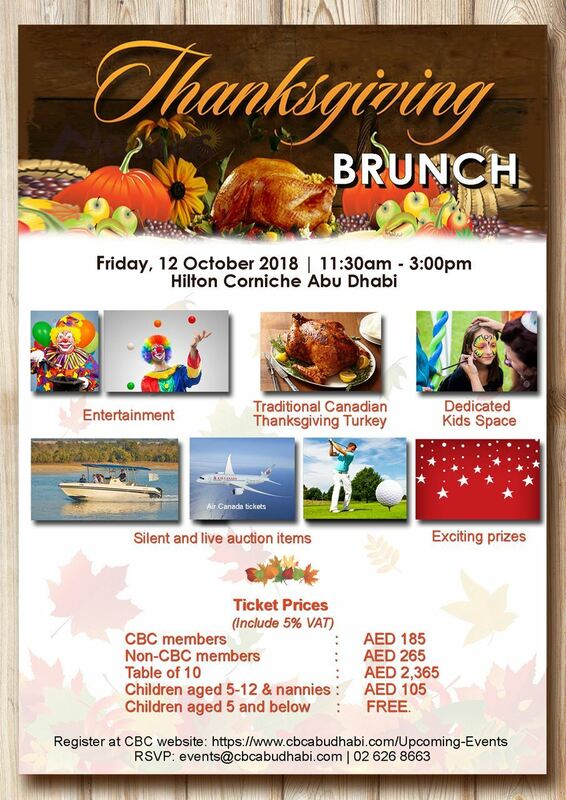 The Canadian Business Council (CBC) Abu Dhabi will be hosting the Thanksgiving Brunch 2018, our annual fall season gathering for our members and their families as well as friends and affiliates of the CBC. Dedicated space for kids with buffet, face painting, games and many more. Exciting prizes to be won such as brunch with house beverage, beach/pool access, VIP tickets for an outdoor immersive movie experience, and many more. Silent and live auction items such as Air Canada tickets, golf package, weekend stay at 5 start hotels, cruise package, gold coins, gym membership and many more.